This early 1900s large waterfall chandelier originates from France. 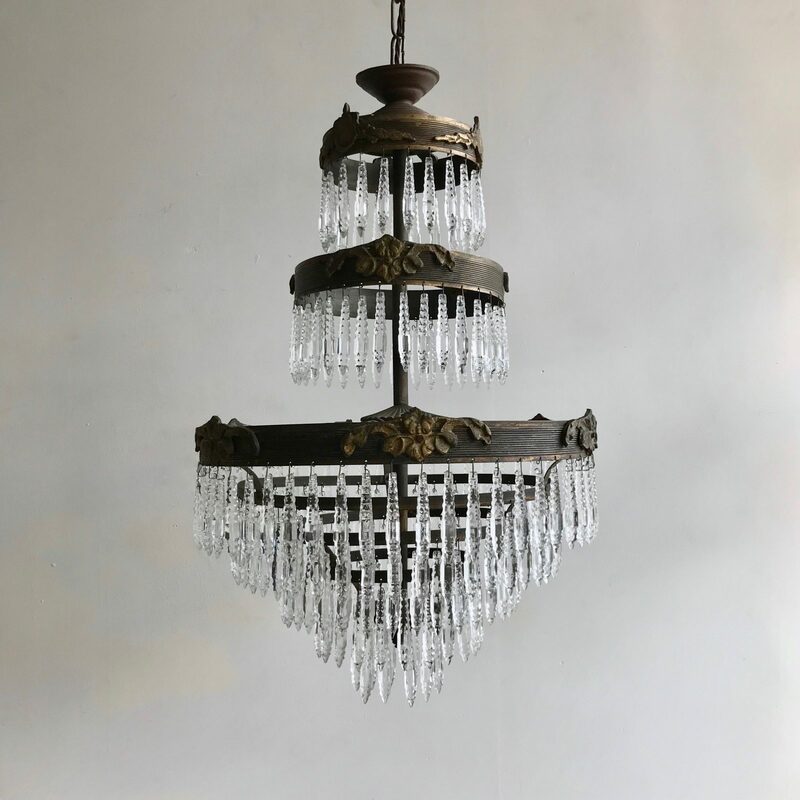 This chandelier has two upper circular brass tiers, the main outer decorative brass tier, then five further ascending tiers all adorned with moulded faceted glass icicle drops. The chandelier come supplied with braided flex, chain, a ceiling rose and a chandelier hook plate. Chandelier requires eight SBC lamps, these are not included.